The Eastern hemlocks are frequent forest trees of eastern north America, from Ontario to Alabama. 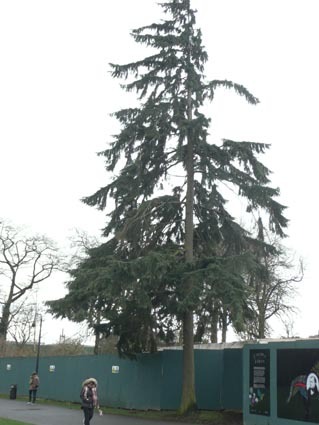 The Belfast Botanic Gardens specimen is a young tree on the main path close to the Tropical Ravine. 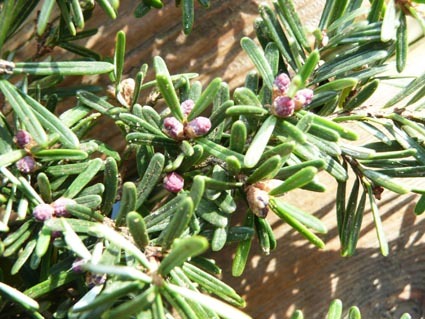 The eastern hemlock is very similar to and hard to distinguish from the western hemlock Tsuga heterophylla; both have hairs on the twigs with the western species described as long and fluffy and the eastern species as short. 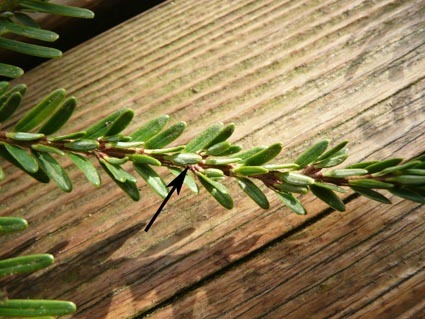 However the most reliable feature seems to be the row of short, inverted, leaves on the upper surface of the eastern hemlock twigs (see photo below). 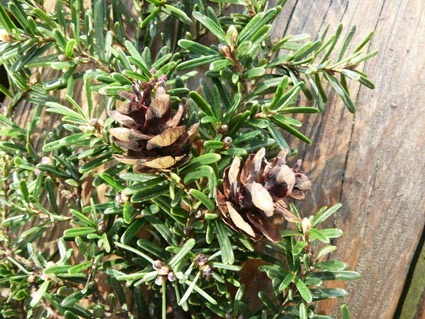 The cones of the two species are quite similar.